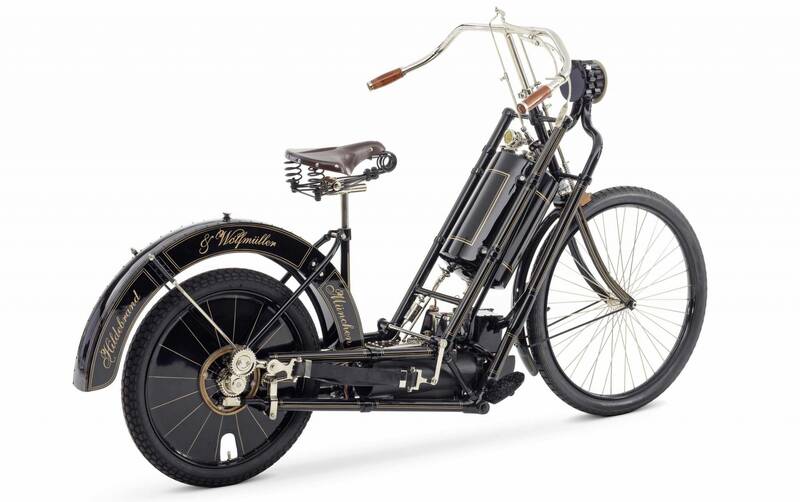 In the period from 1894 to 1897, the brothers Hildebrand and Alois Wolfmüller developed and built the first standard motor-powered two-wheeler. 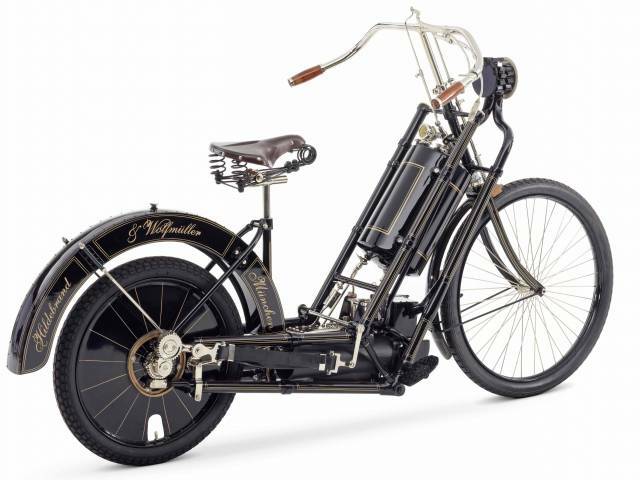 The restorer Mike Kron has built a replica in a limited series. We are proud, that we have got one of Hildebrand & Wolfmüller from this little series and can offer it in the worldmarket. Mike Kron has registered the rights and so he was able to produce the small series under the name Hildebrand & Wolfmüller. The range of a Hildebrand & Wolfmüller was about 20 km, the driving requires a certain amount of skill, for example, because no clutch is available. It is also claimed that some vehicles are simply burned if handled improperly, which in turn has led to few original vehicles remaining.